View cart “Breaking 90 Practice Plan: Full Membership Program” has been added to your cart. By registering for Foy Golf Academy, members, students, and parents agree to the following release and waiver of liability. In connection with the activities of my child or myself as a participant in the Foy Golf Academy, I agree and understand that the presence and participation of my child or myself in the Foy Golf Academy and that their respective employees, agents and representatives (collectively referred to as “the indemnified parties”) may expose my child or myself as participant to both known and unknown and risks foreseeable and unanticipated risks of death, or to harm or injury to person or property. In consideration of and as a prerequisite to the participation of my child or myself in the event, I acknowledge that such risks exist and I hereby assume all such risks, and release and discharge the indemnified parties and each of them and their respective officers, directors, agents, members and employees and any other participants from any and all claims for liability for death, personal injury or property damage my child or myself may suffer at any time while participating in the event, whether or not on the premises of the Foy Golf Academy, including, without limitation (and whether similar or dissimilar to those enumerated), any claim arising out of any condition of the premises owned by Foy Golf Academy or used in connection with Foy Golf Academy or conduct of any person in connection with the preparation for or supervision of or conduct of the program or any activity connected or related to it. I specifically hereby release the indemnified parties and each of them and their respective officers, directors, agents, members and employees and any other participant from any negligence of the Indemnified parties or their representative officers, directors, agents, members and employees and other volunteers. 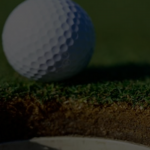 I further understand that the Indemnified Parties will not maintain insurance which will cover my child or myself for either death; personal injury, property damage or medical expenses, and I accept full responsibility for the costs of treatment for any injury or damages suffered while participating in the Foy Golf Academy. I authorize Foy Golf Academy to use my child’s and or myself’s photo, name and comments in any form of media including, photos, newspapers, radio, power point presentations, circular or brochure publications, email, and any other reasonable form of advertising and promotional material. I understand that my child or myself will not receive a fee or incentive in exchange for authorization. I understand that if I have any risk concerns, I should discuss them with a representative of the indemnified parties before participation in the Foy Golf Academy. I agree to hold the Indemnified Parties harmless from any claim, expense or action arising out of, or related to, the use of my own and or my child’s photo, name or comments used from Foy Golf Academy. I have fully informed myself of the contents of the release by reading it before registering and agree to be bound by the terms set forth herein in consideration for participating in the Foy Golf Academy. Copyright. Epic View Media LLC. All Right Reserved.